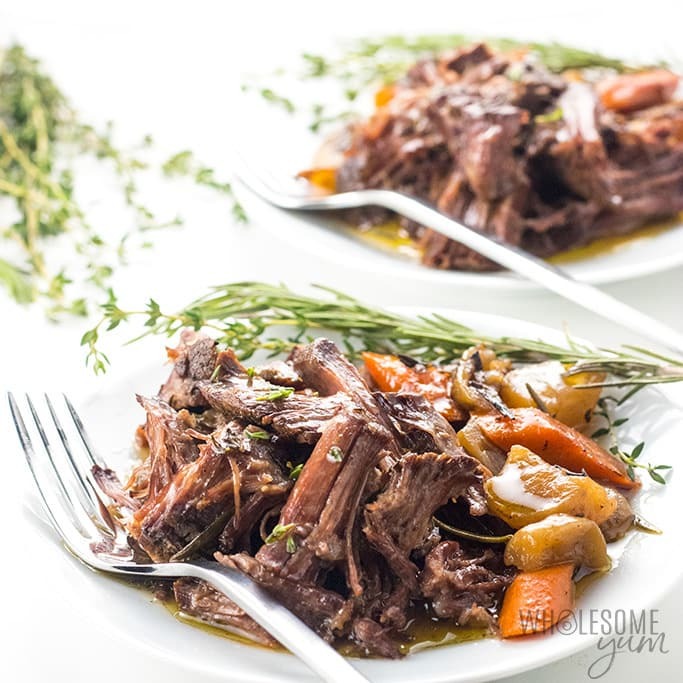 The BEST slow cooker pot roast! Includes how to choose the cut of meat for pot roast, prep tips, freezing pot roast, & an easy pot roast slow cooker recipe. Whether it’s a holiday meal or a family dinner, few things beat the best slow cooker pot roast! If you make it right, it will be tender, flavorful and perfect for feeding a crowd – or storing as a freezer meal. This complete guide will cover the cut of meat for pot roast, tips for how to make it, how to fix tough pot roast, how to freeze low carb pot roast, and of course an easy pot roast slow cooker recipe! What Kind Of Meat For Pot Roast? Connective tissue. Normally it’s not palatable in meat since it’s tough to chew, but it actually has an amazing benefit: collagen! You know I’m a huge proponent of the benefits of collagen. And, it’s exactly what you want in a cut of meat for pot roast. 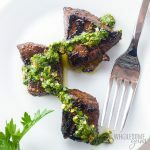 The connective tissue is made up of collagen, which breaks down into gelatin during slow cooking, making the meat juicy and succulent. 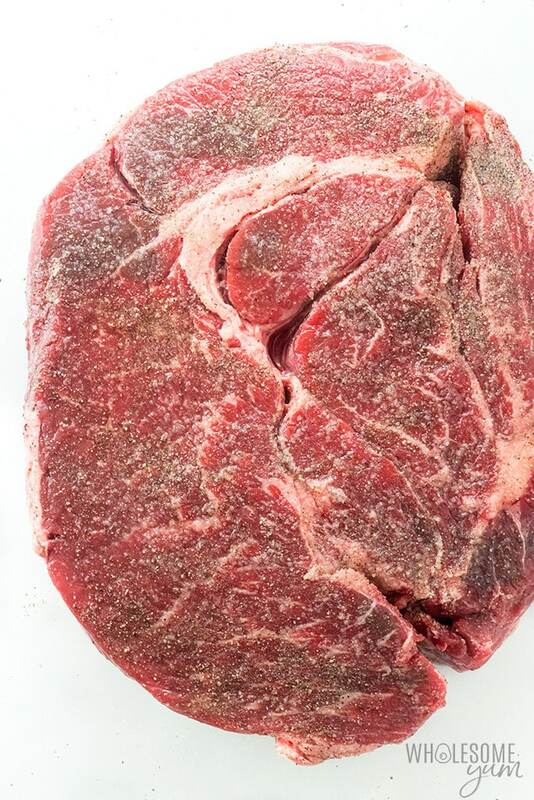 Chuck roast or chuck shoulder – From the shoulder of the cow, and can be bone-in or boneless. 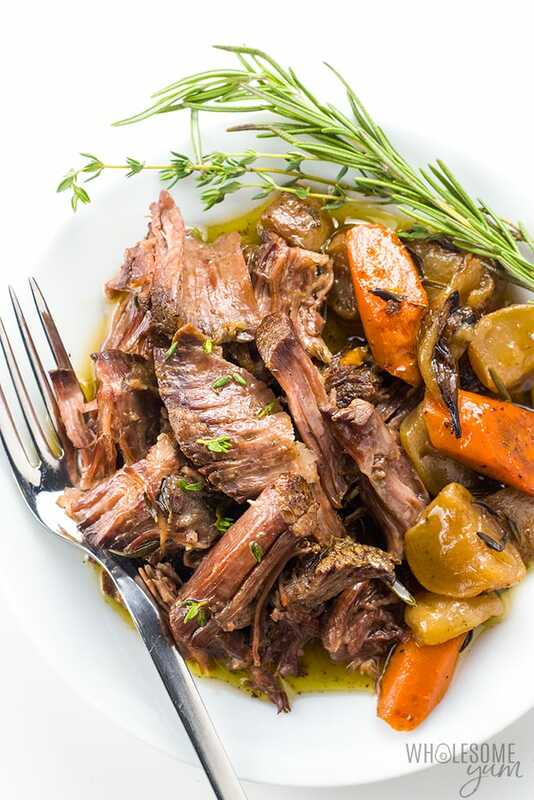 Chuck roast or shoulder is the best kind of meat for pot roast, as it contains more fat and connective tissue, so it’s more flavorful. Rump roast or round – From the rump and rear legs of the cow. It’s a bit leaner than chuck roast, so is a good option if you like less fatty pieces while still being tender. Rump roast is slightly more expensive than chuck roast. Brisket – From the chest and front legs of the cow. This is another great option for making pot roast, but the texture is somewhat more grainy than chuck. Can you use sirloin roast (from the back of the cow)? Yes, but I don’t recommend it in general. It can still be tender, but is too lean, so you won’t get fall-apart tender pot roast. Season and rest the meat. Combine the veggies and pot roast in a slow cooker. Cook low and slow for a loooong time. The full instructions are on the recipe card below, but don’t miss the section on tips for the Best Slow Cooker Pot Roast! The vegetables. 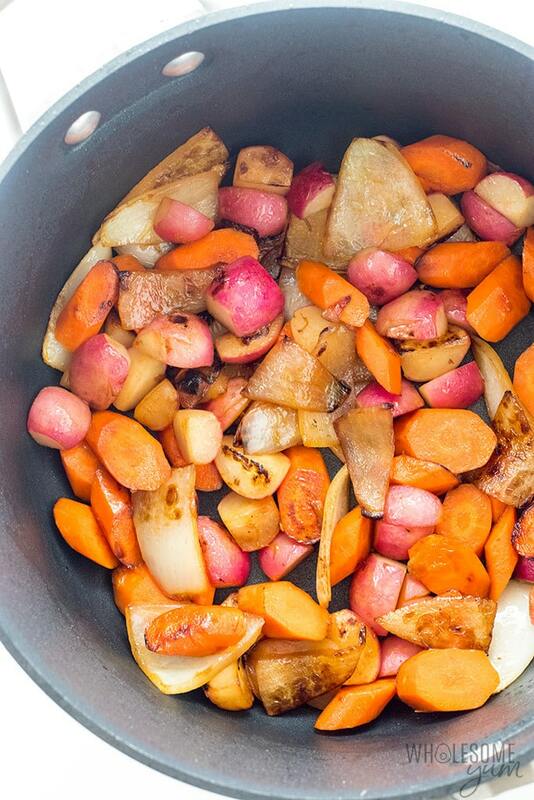 Some pot roast recipes include starchy veggies, especially potatoes. We simply replace those with radishes for a similar effect that’s low carb! The sauce or gravy. Pot roast recipes can have a gravy that’s thickened with corn starch or flour. But, the sauce is just as delicious and flavorful even if it isn’t thick. You can certainly thicken it with a keto-friendly thickener like xanthan gum, but I prefer to skip that part altogether and keep the ingredients simple. Just spoon the juices over the pot roast before serving. It’s delicious! Otherwise, a keto pot roast or low carb pot roast is no different than any other pot roast. Pot roast is pretty straightforward, and the best part is it’s a (mostly) hands-off slow cooker dinner recipe that you can leave alone while you do something else. I’m all about anything that saves me time cooking, especially when it comes to low carb dinner recipes. 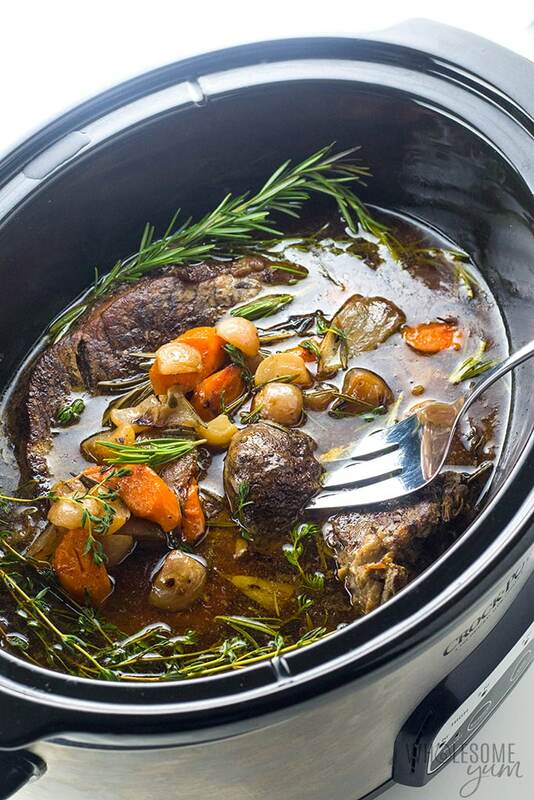 But if you want the best slow cooker pot roast, follow these tips! Use the right cut of meat for pot roast. The best slow cooker pot roast needs the right cut of meat! See my tips above for choosing the best ones. Use a heavy hand with the salt and pepper. You need more than you think for pot roast. Let the meat rest at room temperature. After you season the meat, then let it sit at room temperature for at least 30 minutes. This allows the meat to cook more evenly, which means a juicier and more tender pot roast. You might think that the slow cooker will already be cooking the meat, so do you really need to sear it first? You do. Browning the outside brings out tons more flavor. It’s super quick to do. Don’t skip it! The same principle that applies to the meat is true for the veggies too. Browning them brings out flavor and makes them taste so much better! Flavor, flavor, flavor. Everything about making a good slow cooker pot roast is about flavor! Heavier herbs, like rosemary and thyme, can stand up to the longer cooking time and yield a delicious result. If you want to remove the herbs later, you can tie them together using kitchen twine for easy removal. However, I prefer to have them spread throughout the slow cooker. Any good pot roast slow cooker recipe should use broth. Do not use water! You might already know this, but it might come as a surprise that bone broth works even better. It’s more rich and flavorful, plus it has the added benefits of collagen. It will tenderize the meat even more. And, the extra (good) fat is perfect for a keto low carb pot roast recipe! You let steam escape every time you do that! And, if you’re making pot roast in a Crock Pot, isn’t the whole point that you can walk away and go about your day while it cooks? Cook it for long enough. This is the most important part! Don’t make the mistake of trying to remove the pot roast too soon. It will be tough and dense. For tender, fall-apart meat, it needs to cook low and slow for a loooong time. If it’s too tough, chances are it needs more time to cook. If there is one thing that makes pot roast tender and flavorful, it’s the cooking temperature and time. We want low and slow, for hours! If you can, I highly recommend making slow cooker pot roast on low. A low temperature makes for the most succulent meat possible. The cook time for pot roast in the slow cooker on low is 10 to 12 hours. If you don’t have time to cook slow cooker pot roast on low, you can also do it on high. It’s still a slow cooker temperature, so will still tenderize the meat pretty well. 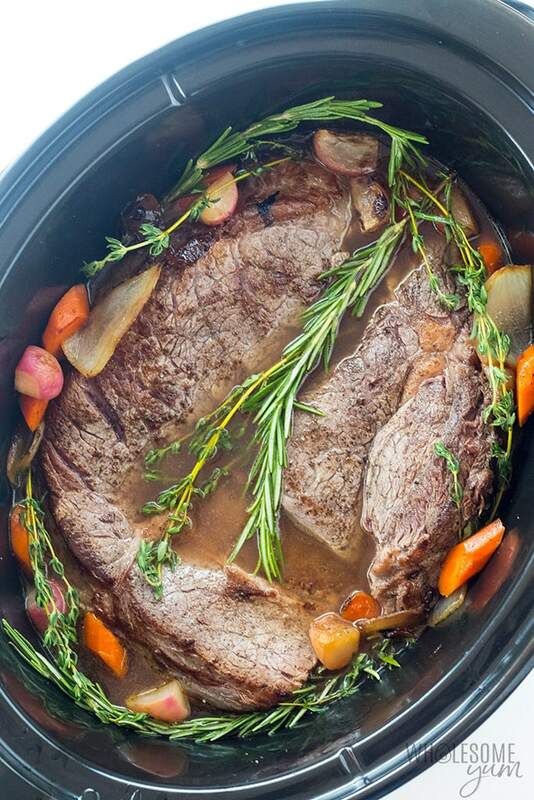 The cook time for pot roast in the slow cooker on high is 5 to 6 hours. The key to the best slow cooker pot roast is to allow it to cook for long enough. If your pot roast is not fall apart tender, chances are it needs more time to cook. It’s very rare that it’s overcooked. How do you know if pot roast is done? Simply take a fork, stick it into the pot roast, and twist. If you can easily remove the meat, then it’s done. If not, keep cooking it! Signs of an underdone pot roast are meat that is dense, leathery, and does not shred or twist off. If this happens, simply close the lid of the slow cooker and continue cooking for another 1 to 2 hours. Then, try the fork test again. Signs of an overdone pot roast are meat that is dry. Honestly, this is almost impossible with a slow cooker pot roast! Yes, definitely! After you’ve cooked your pot roast in the slow cooker, shred it and let it cool to room temperature. Transfer the shredded meat and veggies to freezer bags and top with the sauce. You might have some solids, which is okay, and it’s up to you if you want to include these. Either way, try to submerge the meat in the liquid. Freeze the bags laying flat in the freezer. Once they are solid, you can move them around where ever it’s convenient. Dutch oven – For browning the meat and veggies. 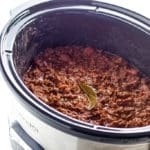 Slow cooker – Of course you need a Crock Pot for a pot roast slow cooker recipe! Season the chuck roast liberally with sea salt and black pepper on all sides, rubbing it in evenly. Let sit for about 30 to 45 minutes to come to room temperature. Transfer the veggies to the slow cooker. Arrange the veggies along the sides with a hole in the middle where the pot roast will go. Add another tablespoon of oil to the pot. Add the chuck roast and sear on all sides for a couple of minutes, until browned on the outside. Add the chuck roast to the center of the slow cooker. Arrange the veggies mostly along the sides, spooning any stuck on the bottom over the top. Add the beef broth. Add the fresh rosemary and fresh thyme, partially submerging in broth. Close the slow cooker lid. Cook for 10-12 hours on Low or 5-6 hours on High, until the beef is very tender. Click or tap on the image below to play the video. It's the easiest way to learn how to make Pot Roast in a Slow Cooker! None of these vegetables used are keto friendly.. am I wrong?? I thought starches were off the list? Hi Cori, They are fine in small amounts, and as you can see the recipe has 2g net carbs per serving. However, if you want you can omit the carrots and replace them with more radishes. Thanks for this recipe! The entire family (all adults) loved it. If I’m using a 2 lb roast, should I still cook it for 10-12 hours on low? Thanks in advance! Hi Misty, A smaller roast might take a bit less time, maybe 9-10 hours. You can check if it’s tender/falling apart enough, and cook for longer if not. I can’t tell you how scrumptious this recipe is. I wasn’t sure that the radishes would work….might possibly be bitter. They are fantastic. I read the entire entry and used your tips. Great advice. 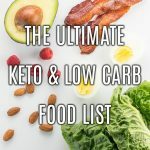 I will look to you for more Keto friendly recipes. Well done. Will be making again and again. Thank you! This was a fantastic recipe. To keep the carbs low I went very light on onions and carrots and added in browned celery and jicama chunks. Unbelievable- you would swear the jicama was potato. 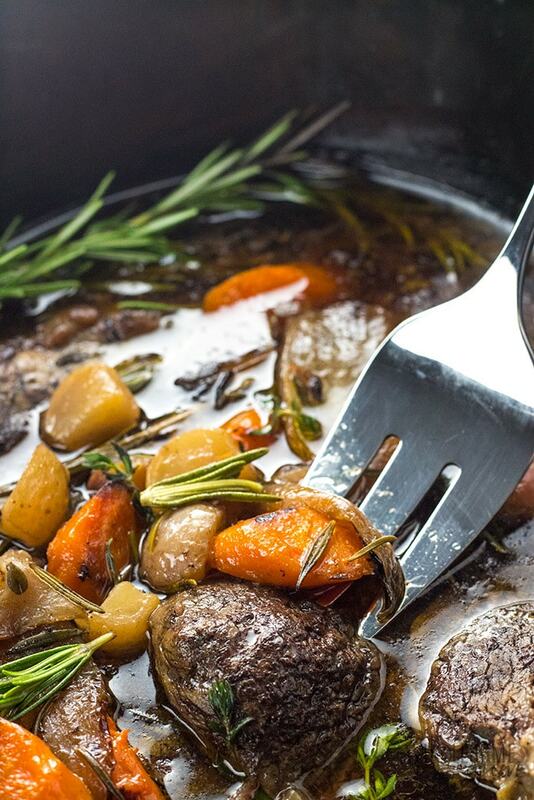 The perfect pot roast recipe. Why can’t I share and save? Hi Nicole, I’m always happy to have you share! If you’re having a website issue, please use the contact form here to let me know! This is delicious! I followed the directions precisely, except I added celery. The radishes work so well! LOVE it and LOVE your website. Do you know how this could be made in an Instant Pot? You probably can, but haven’t tried that yet. This recipe works great with venison roasts as well. I added some celery and sliced mushrooms plus a dash of Montreal steak spice. Wholesome and yummy! Thank you for sharing, Lyle! That sounds delicious! Could I put potatoes in this for my husband and just not eat the potatoes myself to keep it Keto? Hi Kelly, Yes, you can definitely do that! Hi, I haven’t made this yet and am a newbie to keto. I’ve never used radishes for stew before. Does it make the stew peppery? Hi Kirsten, No, they don’t make it peppery. Hope you like it! 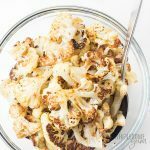 This is a family favorite and I love that it’s low carb. I’m thrilled to have come across all of your recipes. I’ve struggled all of my life with PCOS and now my daughter has been diagnosed with the same condition. Carbs are definitely not our friend. Keep them coming and thank you so much!!! While at the beginning this recipe didn’t specify beef, that seemed understood. On down through it, that was mentioned. However, I used a four pound pork tenderloin. I added another cup of carrots and used daicon instead of radish (which wasn’t on hand), and added 5 cups of diced cruciform stems, as well as an extra two cups of Beef Bone Broth. Not wanting to make a trip to the grocer, 1/2 t each of powdered thyme and crushed rosemary (in a mortar) were used. So far, tasting doesn’t offer a lot. Admittedly, I’m heading for a stew rather than just a pot roast, so I may add a couple packages of McCormick’s Beef Stew Spice. That’ll fix it for sure. As you can tell, this is still low-carb. I’m making this now? Any tips for making the leftover juice and broth into a low carb gravy?? Hi Kayla, You could thicken the extra liquid with a sprinkle of xanthan gum or gelatin to make gravy. This sounds like a very tasty pot roast! Thanks for the slow cooker temperature options, and all of the extra tips you have in the blog. In looking at the nutrition label, all I see is zeros in every field. Maybe you can take a look at that. Thanks! Thank you so much for catching that, Roxana! The nutrition info has been added and should be correct now. Thanks so much. 2 net carbs — Wow! Love this for a cold winter night, thank you for the recipe!